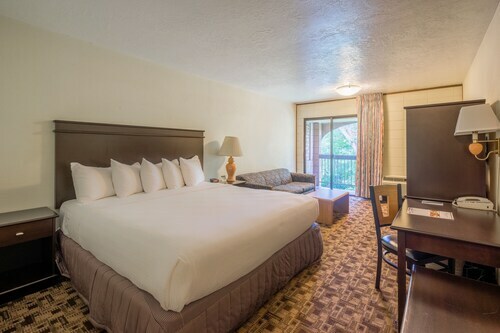 Situated near the airport, this hotel is 0.3 mi (0.5 km) from National Interagency Fire Center and Wildland Firefighters Monument and 2.7 mi (4.3 km) from Boise State University. Hillcrest Country Club and Boise Depot are also within 3 mi (5 km). 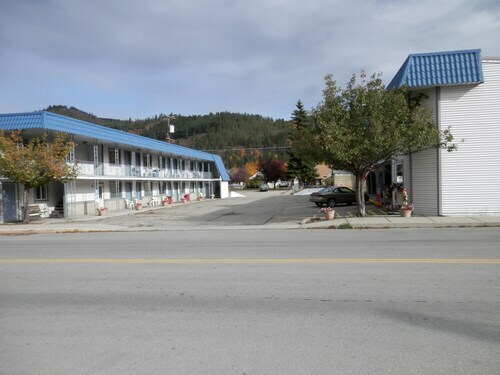 Located in the heart of Post Falls, this hotel is 0.6 mi (1 km) from University Of Idaho Research Park and 2.1 mi (3.3 km) from Stateline Stadium and Speedway. Liberty Lake Community Theatre and The Links Golf Course are also within 6 mi (10 km). 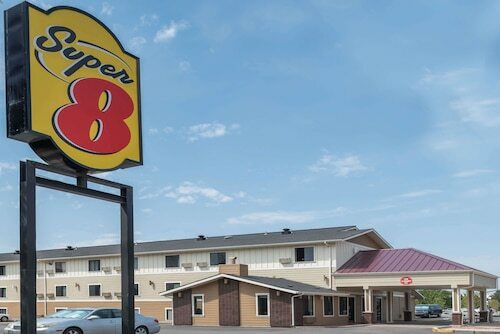 Situated in a shopping district, this motel is 0.6 mi (0.9 km) from Silver Rapids Indoor Waterpark and within 12 mi (20 km) of Silver Mountain Ski Resort and Northern Pacific Depot Railroad Museum. Oasis Bordello Museum and Cataldo Mission are also within 12 mi (20 km). This family-friendly Meridian motel is within a 10-minute walk of Roaring Springs Waterpark and Wahooz Family Fun Zone. Dart Warz and Slanted Rock Brewing Company are also within 3 mi (5 km). This Idaho hotel is on the Boise River, a half-mile from Boise State University and less than 2 miles from downtown. Situated in Burley, this hotel is 2.4 mi (3.9 km) from Cassia Historical Society Museum and within 6 mi (10 km) of Freedom Park and River's Edge Golf Course. Craters of the Moon National Monument and Snake River Canyon are also within 32 mi (52 km). Situated in Idaho Falls, this motel is within 1 mi (2 km) of Idaho Falls Greenbelt Trail, Colonial Theater, and Idaho Falls Greenbelt. Museum of Idaho and Idaho Falls Idaho Temple are also within 2 mi (3 km). 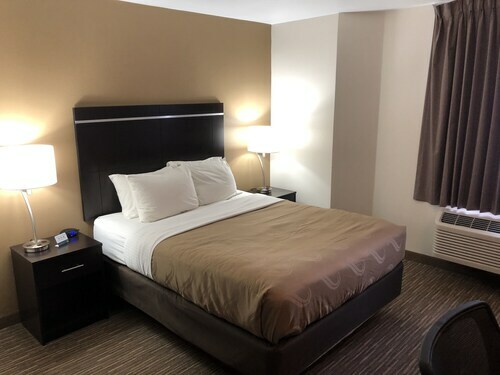 Situated near the airport, this motel is within 3 mi (5 km) of Boise State University, Taco Bell Arena, and Albertsons Stadium. Knitting Factory and Zoo Boise are also within 3 mi (5 km). Located in the heart of Idaho Falls, this hotel is within 1 mi (2 km) of Idaho Falls Greenbelt and Idaho Falls Greenbelt Trail. Colonial Theater and Museum of Idaho are also within 2 mi (3 km). 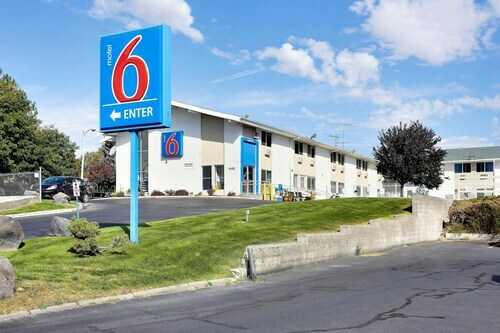 Situated near the airport, this motel is 0.6 mi (0.9 km) from Boise Spectrum and 2.4 mi (3.9 km) from Boise Towne Square Mall. Boise Mormon Temple and Aquarium of Boise are also within 2 mi (3 km). 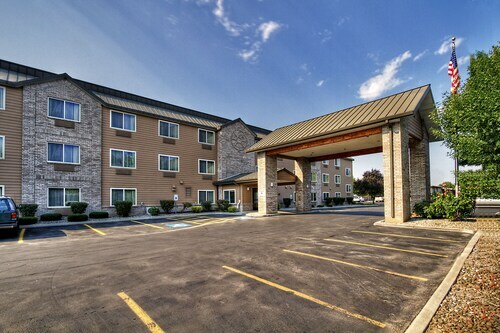 Located in Downtown Boise, this motel is within 1 mi (2 km) of Ann Morrison Park, Boise State University, and Boise Centre. Taco Bell Arena is 2.1 mi (3.3 km) away. 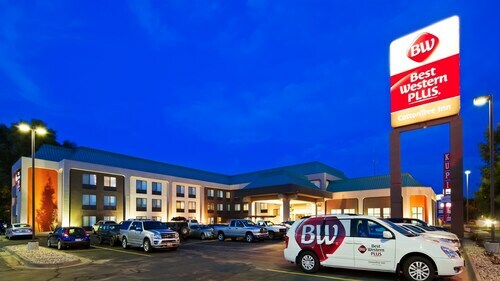 Situated in Boise, this hotel is 0.5 mi (0.8 km) from National Interagency Fire Center and Wildland Firefighters Monument and within 3 mi (5 km) of Boise State University and Taco Bell Arena. Hillcrest Country Club and Boise Depot are also within 3 mi (5 km). It’s time for you to set aside work and venture into the Northwestern region of the United States. You’ve probably heard about Idaho’s abundant potato population, but did you know that almost every type of gemstone has been found within its borders? The beautiful scenery of lakes, mountains, streams, and rivers will be at your fingertips with a stay at an Idaho resort. Begin your Idaho trip in the southwest portion of the state by reserving a Boise hotel room. Head farther south for a whitewater rafting adventure down the Jarbidge River with Class III and IV rapids. Want something less bumpy? Drive up north to Coeur d’Alene and enjoy great fishing in the St. Joe River, where you can catch and eat trout, chinook, and Kokanee salmon. For additional watery fun, visit Lake Coeur d’ Alene and enjoy tubing, water skiing, and wakeboarding. The local golf course even has an island green if you’re an ace with a 7-iron. Do you prefer to travel in the winter for the holidays? Idaho has you covered. Smack in the center of the state is one of the premier skiing destinations in the country: Bald Mountain at Sun Valley. The area has over 3,000 vertical feet and a dazzling amount of pitch-terrain, creating a haven for ski bums and winter vacationers. After a day of skiing the fall line, head to the nearby town of Ketchum and visit the mountain lodge where Ernest Hemingway completed his final works. Some of the better resorts in Idaho are located in the area, ensuring quick access to all kinds of winter activities. Idaho is ready for you to walk upon its postcard land. Browse Travelocity for the cheapest deals on flights and Idaho hotels to save over $537 on a bundled package. Pack up the skis or hiking boots (or both!) and relax in the picturesque Northwest scenery. How Much is a Hotel Room in Idaho? Hotels in Idaho start at $40 per night. Prices and availability subject to change. Additional terms may apply. The room was clean and the bed was comfortable. The staff was friendly and the breakfast was as expected. Great, helpful staff. Happy to help. Quick check in. Wonderful beds and pillows. Not too hard or soft. The complimentary snacks for the kids and a complimentary glass of wine or beer for each day of your stay was a nice surprise.